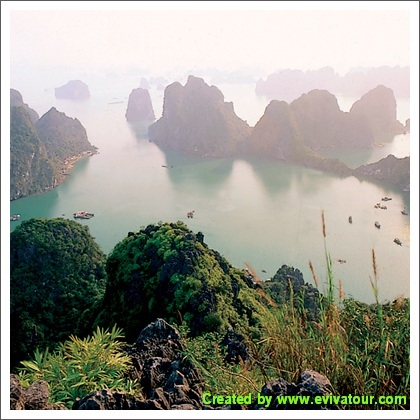 Let me tell you what I have experienced in northern Vietnam, particularly Sapa and Halong Bay. In Sapa, there are many ethnic minority groups, such as H’mong, Red Dao, Tay, Giay…,etc. Each wears its different brightly colored handmade clothing depending on the tribe. If you visit Sapa from Aug to Sep, you will have a chance to gaze how beautiful rice terrace fieldss are. All around you will be covered by the yellow of rice – an amazing picture that is deserved to be one of the most magnificent terraced fields in the world. 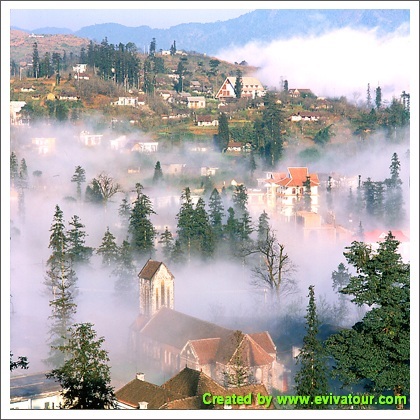 If you can ride a motorbike well, it is highly recommended to hire a motorbike to move in Sapa.. I asked my nephew’s girlfriend – Ms. Le – who have has been working at Eviva Tour Company to book a hotel for me. I stayed at Thai Binh Sapa Hotel; it is value-worthy of value. The rooms were comfortable and clean. The staff werestaff was friendly and helpful. The hotel is in at a great location, very near to the busy shopping and restaurant area and at the base of the Hamrong Mountain. Since 2012, after Halong Bay has becaome one of the 7 world wonders, all boats in the bay had to change their color to white, and from an aesthetic point of view this has been had a strong impact.